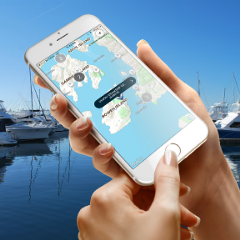 Marina bookings are made easy with Swift Harbour, the app that allows you to streamline operations, delight customers and make more profits risk free. provides a highly-scalable … like storing credentials, credit-card info, etc. For that purpose you need to maintain a database, and amazon provides a highly-scalable and cheap relational database in the form of RDS. tting e…market. RentALL is packed with cutting edge technologies like Nodejs, Reactjs and GraphQL to compete with other players. …e — he was in Oahu, Hawaii. I could even explore what was happening in the neighborhoods around me. Snapchat’s release of Snap Map completely changes the way I explore the world, discover content, and connect with friends.